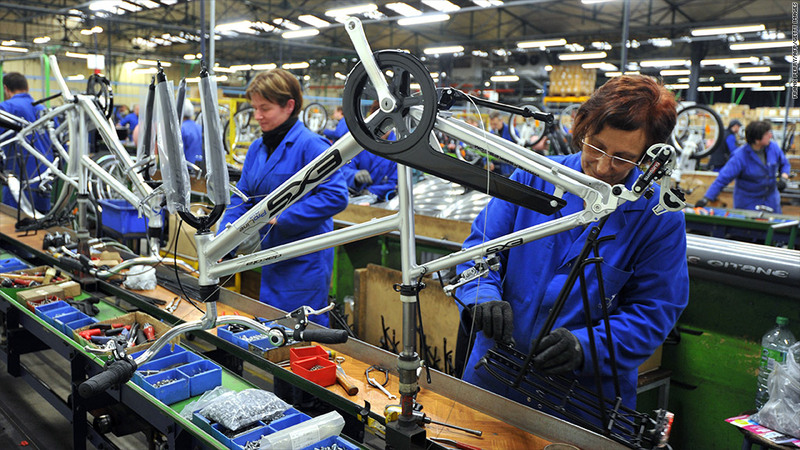 Industrial production in Europe sank faster than expected in January, raising the risk that a long-awaited return to growth will be further delayed. The eurozone's seasonally-adjusted output in January fell 0.4%, worse than the 0.1% decline most economists had been expecting. Output from Germany, which accounts for more than a third of industrial production in the 17-member currency area, slid 0.4% last month, while French production dropped 1.2%. European shares edged lower Wednesday, while the euro slipped against the dollar. The European Central Bank said last week it still expected a gradual recovery to begin during the second half of the year, even as it predicted the eurozone's gross domestic product would contract by 0.5%, rather than 0.3% as previously forecast. Eurozone GDP shrank by 0.6% last year. ECB President Mario Draghi, explaining the bank's decision to leave interest rates unchanged, said the weaker outlook was largely due to carryover effects from a particularly poor fourth quarter. But with demand still deeply depressed in southern Europe, and other major central banks pursuing more aggressive monetary stimulus to support their economies, the ECB is facing a growing chorus of calls to take bolder action to help restore growth. International Monetary Fund managing director Christine Lagarde said last week the ECB still had some "limited room" to cut interest rates further below their record low of 0.75%. 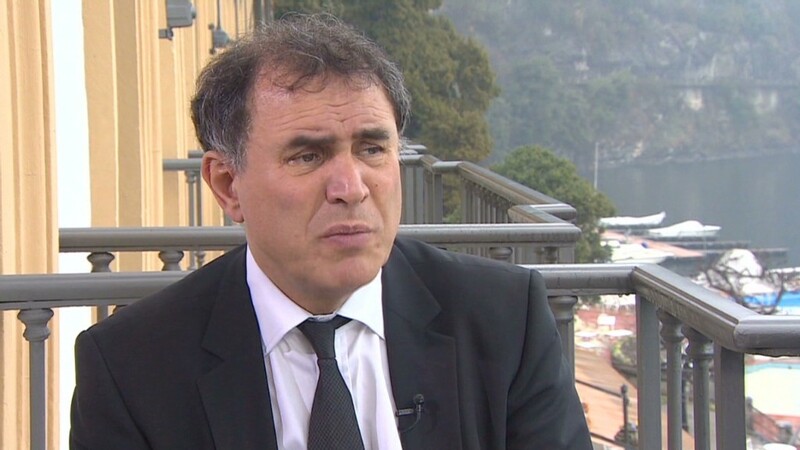 American economist Nouriel Roubini told CNN this week that the ECB would eventually have to cut rates or risk an even deeper recession that could put the eurozone to the test again by raising social and political tension. "They have to cut the policy rate, they have to stimulate the economy, they have to try to weaken the value of the euro," said Roubini, arguing the currency needed to fall by 10%-30% to restore the competitiveness of some eurozone exporters. U.K. industrial production fell by 1.2% over the previous month, providing further evidence that the economy may be slipping back into its third recession since 2008. The pound fell to a 2-1/2 year low against the dollar Tuesday as investors bet the bad economic news would prompt the Bank of England to launch another round of quantitative easing. The British currency recovered a little Wednesday.